Stay updated on the latest aviation industry news, events and highlights including exclusive updates on SpeedNews Aviation Industry Conferences. SpeedNews on Facebook offers aviation industry professionals and enthusiasts the opportunity to learn more about exciting and late breaking aviation stories, receive and share exclusive photos from industry events and see details on featured speakers and their topics at SpeedNews Conferences. Keep up with latest commercial, business, and military aviation news. 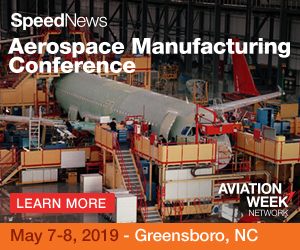 The latest in SpeedNews Aviation Industry Conferences, SpeedNews Conferences on Twitter provides followers with frequent updates on everything from featured speaker spotlights to information on Conference sponsors and advertisers. Followers also stay informed on relevant industry news as it relates to any of our upcoming Conferences. For the most in-depth information on SpeedNews publications and Conferences, SpeedNews on LinkedIn is the premiere place where aviation industry professionals meet, learn and interact with SpeedNews colleagues and partners. Learn all about our publications and the benefits they offer as well as our industry Conferences. Now, SpeedNews on LinkedIn brings you SpeedNews-Aviation Community, a new group designed for aviation industry professionals and enthusiasts to connect, network and discuss the latest issues and trends affecting the aviation industry. Please contact us with questions about registration, group discounts, or promotional opportunities. Bi-monthly newsletter which provides a glimpse into our SpeedNews conferences, the highlights and the foresights, and a peek into our Conferences on the horizon. A bi-monthly newsletter which provides a glimpse into our SpeedNews conferences, the highlights and the foresights, and a peek into our Conferences on the horizon. Newsletters, Conferences, Website and More! Aircraft and engine manufacturers will present status reports on their programs. Industry experts will offer delivery and retirement forecasts, and review the current economic status of the industry. Maintenance and subcontractor issues will also be addressed.